We love using Fusion Mineral Paint around our home because of its quality and vibrant colour. We used the upper green colour for a DIY sleek computer table, Champness blue to upcycle an old dresser, and Fort York Red for this bench. First sand and clean the bench. 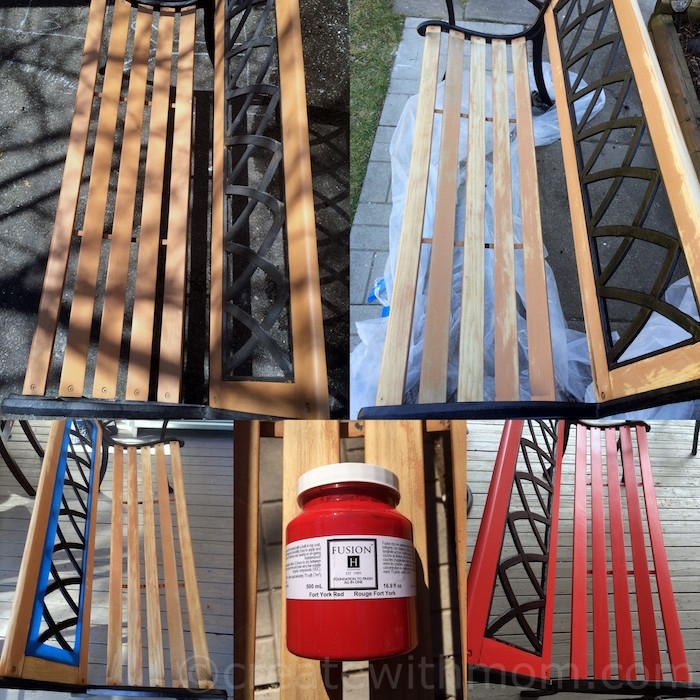 Paint the bench using the Fort York Red Fusion Mineral Paint. Once it is dry put the sealer and let it dry. I absolutely love the look of that bench!!! I love the colour combo! I think the red and black are perfect together. I rally love the red vibran colour! It looks really nice! What store can we by that paint ? I love the colour -- it pops!